So, you have chosen the coffee machine that, as you think, would be perfect for your house. Nespresso Vertuoline had become the chosen one ― оne of those great things that, according to its motto, creates arts instead coffee. Well, in some way this motto can be regarded as the truth because these coffee machines thanks to their unique extraction technology can brew really great espressos and regular coffee. Our post below will be devoted to the capsules or so-called pods for the Nespresso Vertuoline coffee machines. We will observe some capsule types and give a short review for each of them. Several weeks ago we have published Nespresso Vertuoline Evoluo review ― the newest model of Vertuoline series. It combines all the Nespresso coffee brewing achievements and nowadays is regarded as one of the best coffee brewing systems for the home use. Each Nespresso coffee brewing appliance works according to the single-serve technology. It means that every device was designed to work with single-serve, not rechargeable coffee pods which are also not compatible with any other capsule coffee machine. 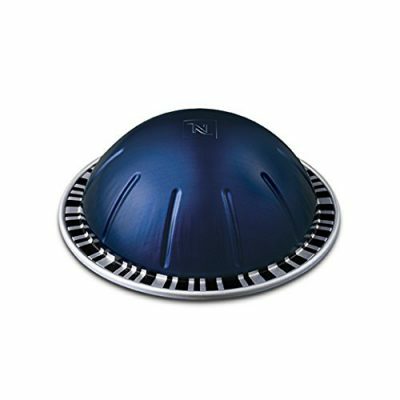 So, let’s start the Nespresso Vertuoline pods review because precisely the pods are the main source of the coffee taste and flavor. In this post, we will observe Vertuoline capsules for the espresso brewing. If you are looking for the devilish strength, power, and taste, then «diavolitto» is a beverage for you. 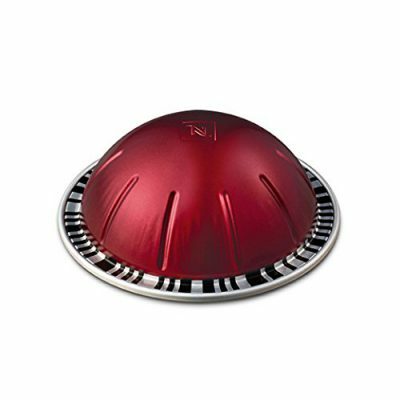 It is the strongest one among the Vertuoline espresso pods and can be regarded as the strongest among all Nespresso pods. In fact, diavolitto espresso is a blend that combines split roasted Brazilian Arabica with Robusta of the South and Central America. Diavolitto has a very strong bitter taste with the leather and oak wood shades. This combination is achieved thanks to the high but split roasting of the coffee beans and very fine grinding.Such an approach allows to save the taste and aroma of every bean, and that is why the oily dense foam appears in the cup, while the pod comes through the centrifuge. Each process, happening with the capsule, is absolutely natural. The strength level of the finished diavolitto beverage is 11 of 11. This is the best energizing espresso for the morning. Each pod can produce 1,35 oz of the drink ― it is a small espresso cup, but with diavolitto, you will not need more. Caution! Remember that this espresso type is very strong! If you have heart problems or high blood pressure it would be better if you choose some other pod type. Nespresso Altissio is a unique blend of the South America and Costa Rica Arabicas with strong contrasting notes of Robusta that bring subtle cereal shades into the taste of the drink. It is a very strong but balanced beverage that becomes even softer with milk addition. Altissio blend is highly but rather shortly roasted. Such an approach helps to save some unique coffee beans components that make the taste so balanced and strong it one and the same time. So, if you are looking for something special, try this bold blend of two Arabicas, grown in the South and Central parts of the American continent. Nespresso Altissio is rather strong beverage with an intensity 9 of 11. It’s softer than Diavolitto but still is very energizing and could be dangerous for the people with weak heart and high blood pressure. One Altissio pod produces 1.35 oz of perfect espresso with its famous oily dense crema. If you prefer something light, soft, and tender then Nespresso Voltesso is the beverage for you. The unique soft taste of the coffee appears thanks to the South American Arabicas combinations with some Brazilian Bourbon coffee beans. The taste and aromas of the finished drink are supplementing with biscuit notes and velvet sweet shades. Pour the milk into the cup of the Voltesso and you will increase the softness of your coffee. Coffee beans for Nespresso Voltesso go through the split roasting. Colombian coffee is lightly roasted, and Brazilian comes through the long and deep roasting. The combination of two differently roasted varieties, in the end, gives a soft biscuity taste of the beverage. Nespresso Voltesso is a coffee for the pleasure. It has rather low intensity: 4 of 11. So, it’s less energizing and invigorating than Diavolitto or Altisso. The soft sweet taste of the coffee will not leave anyone indifferent. This beverage is perfectly fit to the people with weak heart and blood pressure. One Voltesso pod produces 1.35 oz of perfect espresso. Decaffeinato is a beverage for those people who are keen about their health. Caffeine is regarded not only as the main component of the coffee bean but also as the most malicious agent in this drink. It increases the blood pressure, makes the heart beat faster, and may cause serious health problems. Nespresso Decaffeinato Intenso pods are the perfectly brewed espresso that allows you to get the best coffee taste without risking of harming your heart or blood vessels. This is the unique blend of the Colombian and Brazilian Arabicas with the Asian Robusta. Such a combination gives you full taste and flavor if the beverage with special cocoa and fruity shades. In spite, the caffeine absence Decaffeinato Intenso has a high roasting intensity. It´s almost 7 of 11. The coffee beans, taken for this beverage, comes through the deep dark roasting and combine with those ones that were medium-roasted to make the coffee body dense and taste more special. If you think that decaffeinated coffee is not coffee at all, try Decaffeinato Intenso to make sure that you are mistaken. 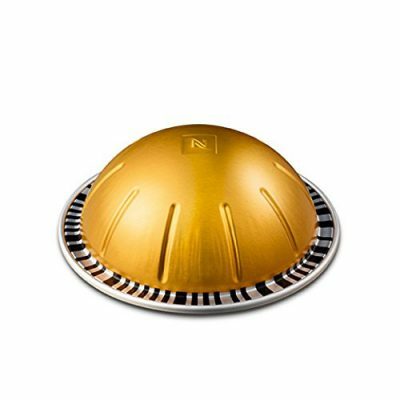 One Nespresso Decaffeinato Intenso pod produces 1.35 oz of perfect espresso with its famous oily dense crema. This was the first review of the Nespresso Vertuoline capsule. 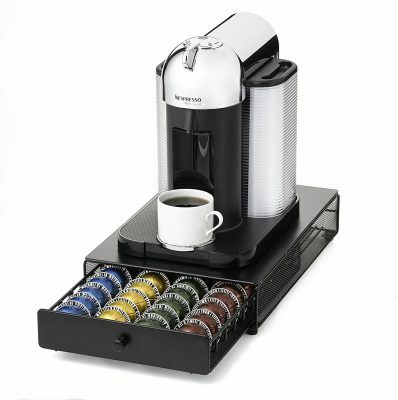 In fact, this coffee brewing system has 17 coffee pod types. 4 of them are for espresso, and the others are for regular coffee. Hope, we gave you enough information about the Vertuoline espresso pods, and you’ll find your favorite one with our help.